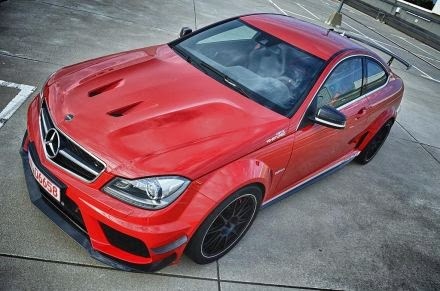 Mercedes C63 AMG standard version has 457hp, the Black Series version has 517hp, but the specifications are completely dazzled by what tuning house GAD-Motors achieved with this car. In addition to impressive performance, the car features and visual changes to the appearance are even more distinct. GAD-Motors made largest changes to the transfer of power, which is now delivered to all four wheels. 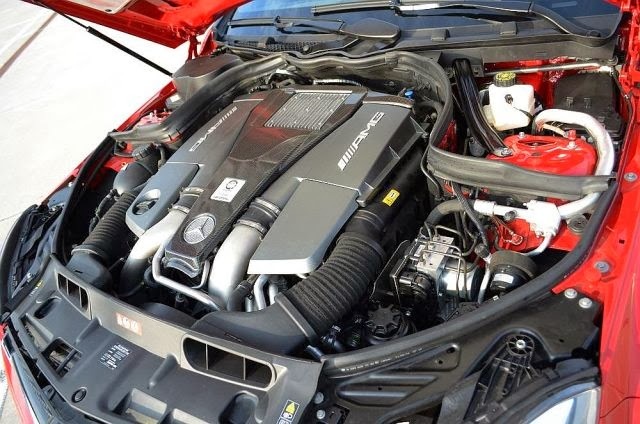 Powerful bitirbo M157 V8 engine mated to a 4MATIC Transmission, which turned him into a completely different car and made the fastest tuned-up Mercedes for ordinary roads today. The car from images accelerates from 0-100 km / h in 3.1 seconds, from 0-200 km / h in 8.8 seconds and from 0-300 km / h in 23.5 seconds with a complete aero package. 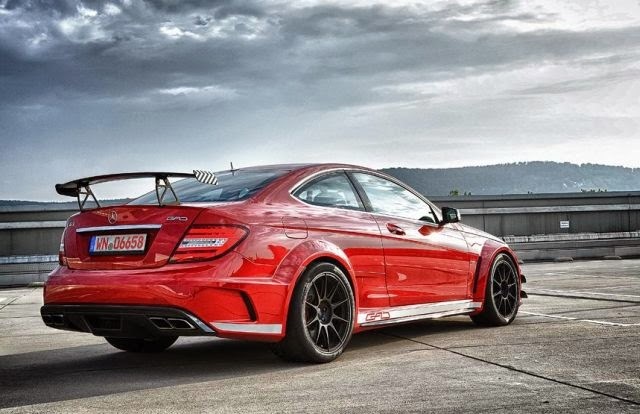 With AMG aerodynamic package, acceleration from 0-100 km / h is 8.7 seconds and to 200 km / h 22.7 seconds. Thanks to the new turbines, GAD Motors C63 Black Series has 862KS and 1350nm, and the number of revolutions is limited to 7,000. To be able to control this big power, they promoted the cooling system. Power is transmitted via processed 4Matic gearbox, which may transfer 1500nm of torque thanks to multi clutch. Special adjustable suspension, custom 4Matic setup, was made by KW-Suspension company. It allows the car solid performance on the race track. Carbon-ceramic brakes stop the car from a speed of 100 km / h in 33m, with 200 km / h in 132m. Price of these changes is scary like performance - € 180,250, not including the initial cost of the Mercedes C63 Black Series.